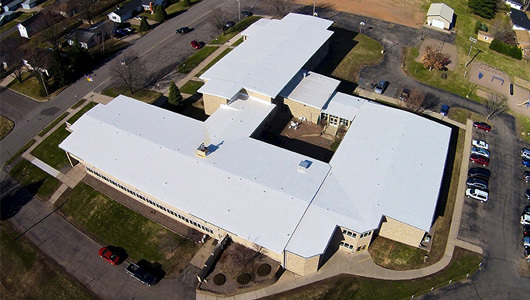 Kimmons Roofing LLC installs a custom pre-fabricated, reinforced, thermoplastic membrane commercial roofing system that is ideal for flat or lo-sloped application. This commercial roof is extremely durable. The Duro-Last® Roofing System is resistant to fire, chemicals, high winds, punctures and extreme temperatures. This roof system is virtually maintenance free. This commercial roofing system is designed for commercial facilities such as schools, churches, hotels, motels, restaurants and retails shops. We measure each roof to exact size and the Duro-last® Roofing System is manufactured to exact size to accommodate every rooftop penetration. We assure that every roof is manufactured with precise detail to ensure an excellent fit and deliver worry-free leak protection. Kimmons Roofing LLC can install Duro-Last® Roofing System over existing metal roofing without the expensive tear off. 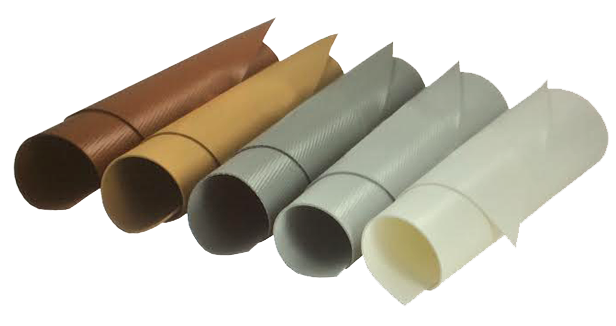 The appropriate selection of insulation to fill the existing roof’s metal flutes and to create a flat surface for the membrane to be installed over and mechanically attached to the roof deck. 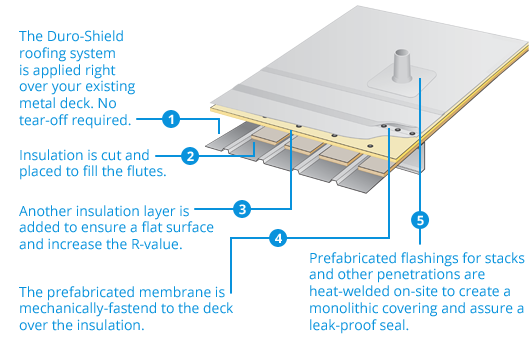 All flashings and penetrations are heat welded to create a water tight, smooth flat roof. This is a cost-effective, long term way to protect your building against rain, temperature changes, ice build-up, and corrosion. Duro-Last® is backed by the industry’s best warranties. Duro-Last® protects commercial and industrial buildings with a comprehensive 15-year full warranty or a 20-year prorated warranty. Both provide maximum protection, including coverage against damage caused by ponding water, and coverage against consequential damages that result from defects in the Duro-Last®materials. Color options are available to meet your needs. The choice of roof color and style is available when working with Kimmons Roofing LLC and Duro-Last® materials. White roofs are a great option if energy savings and reflectivity is important. Darker roofs are also available shades of grey, tan and pebble, rock and shingle designs.